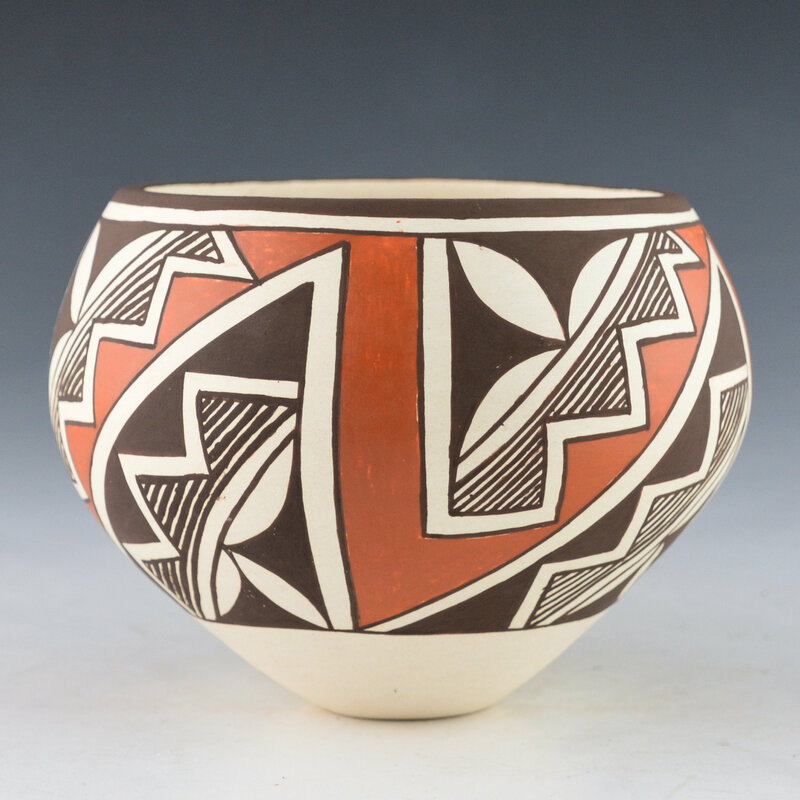 Carmel Lewis was the youngest daughter of noted potter Lucy Lewis. 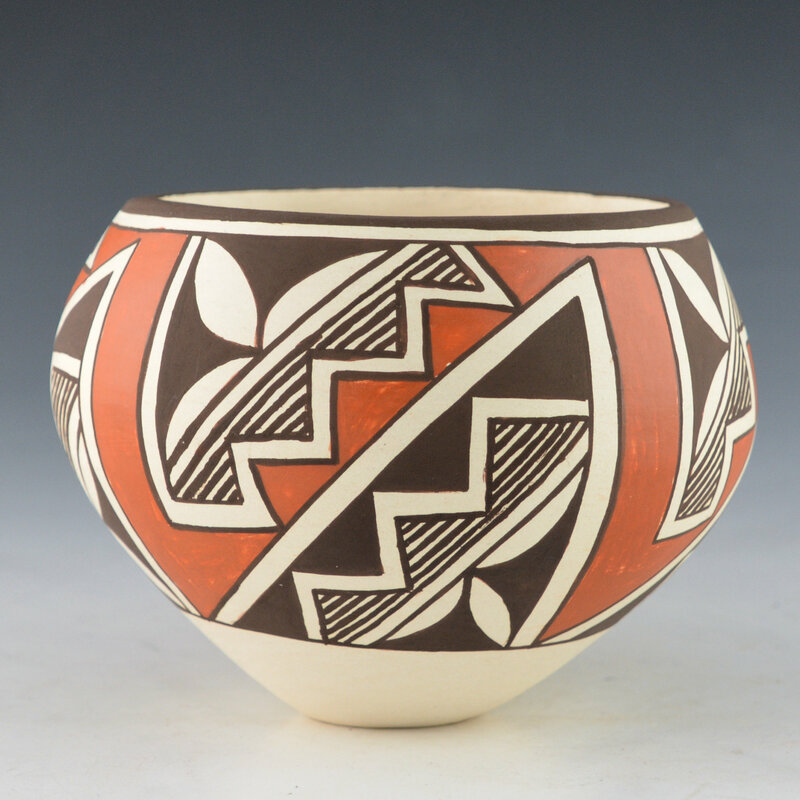 This bowl is coil built and painted with bee-weed and a red clay slip. 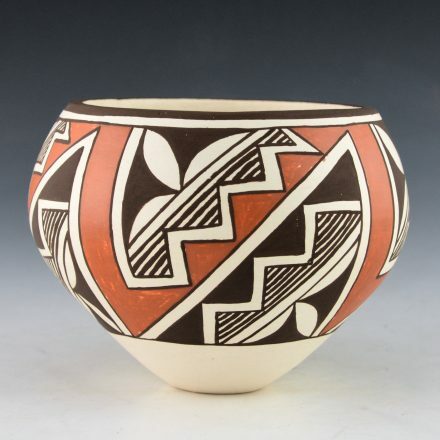 The design is a classic Acoma pattern with rain, lightning and cloud designs. 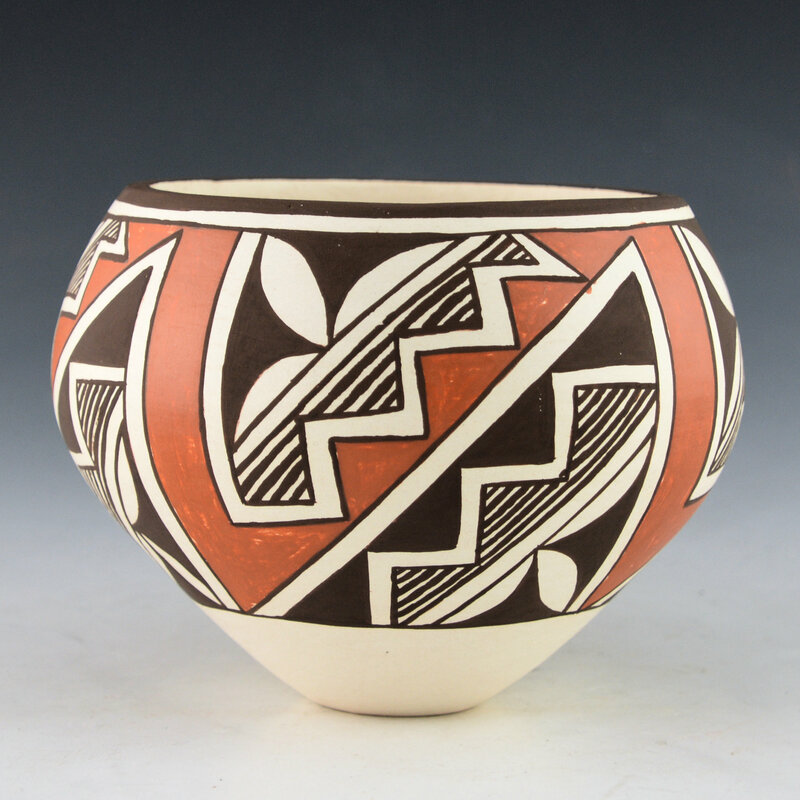 The pattern encircles the entire bowl. It is signed on the bottom in the clay, “Carmel Lewis”. It is in excellent condition with no chips, cracks, restoration or repair.